File sharing "is the practice of distributing or providing access to digitally stored information, such as computer programs, multimedia (audio, images, and video), documents, or electronic books. It may be implemented through a variety of ways. 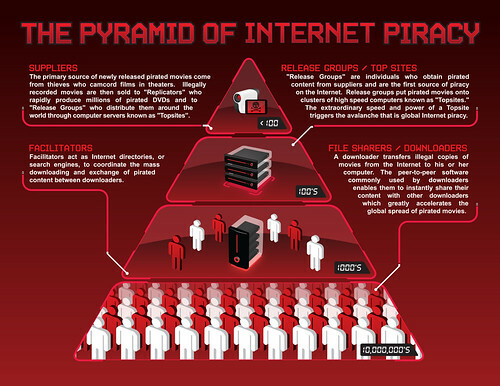 Common methods of storage, transmission, and distribution used in file sharing include manual sharing using removable media, centralized servers on computer networks,World Wide Web-based hyperlinked documents, and the use of distributed peer-to-peer networking (see peer-to-peer file sharing)..."
Peer-to-peer (P2P) "computing or networking is a distributed application architecture that partitions tasks or workloads among peers..."
Megaupload Limited, "better known for its closed websites including the top-15 file hosting service megaupload.com, is an online Hong Kong–based company established in 2005 that ran a number of online services related to file storage and viewing. The domain names were seized and the sites shut down by the U.S. Justice Department on 19 January 2012, following their indictment and arrests of the owners for allegedly operating as an organization dedicated to copyright infringement. The shutdown led to denial-of-service attacks attacks on a range of websites belonging to the U.S. government and copyright organisations. The case has not yet been heard at trial..."
The 38-year-old said he would launch Mega on 20 January 2013 - a year to the day since his arrest." "The past week has seen parts of the web in tumult. 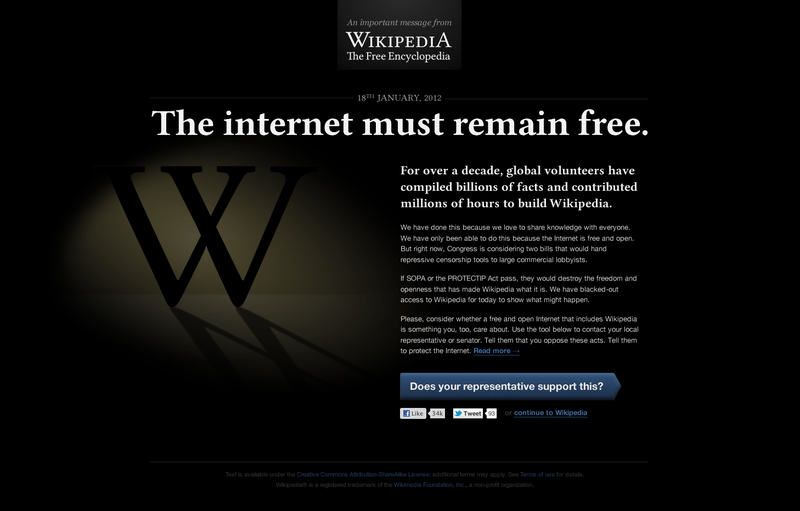 On Wednesday Wikipedia, WordPress and thousands of other sites took their content offline." "Illegal downloaders will be sent a warning e-mail, then a letter if they continue, and finally must appear before a judge if they offend again. The judge can impose a fine, or suspend their access to the internet." "For years, the music industry has, in the words of Bonnie Tyler, been holding out for a hero. For the industry, this hero must come up with an idea that is great enough to tempt fans away from illegal file-sharing sites, while simultaneously making money for artists, songwriters and record labels."